Mr. Clark is board certified by the National Commission on the Certification of Physician Assistants. He received a Bachelor of Science in Nursing from Methodist College in Omaha, Neb., and a Physician Assistant certification from the University of North Dakota in Grand Forks, ND. 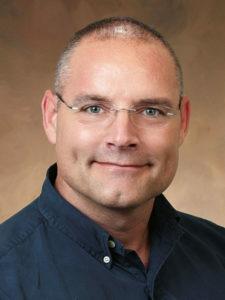 Mr. Clark has been practicing as a nurse since 1994 and as a physician assistant since 2001. He has worked in the fields of general surgery, trauma, critical care and family medicine and performs a variety of minor surgical procedures at Health Partnership Clinic. He sees people of all ages at our Olathe Clinic.